With 45 years of professional excellence in his field, Dr. Fanning has been recognized as a professor emeritus at the University of Maryland, College Park, since 1999. Prior to his retirement, he was an assistant and full professor in the department of natural resource sciences and landscape architecture for a total of 35 years. He commenced his career with the U.S. Department of Agriculture in 1954, serving as a soil scientist with the Soil Conservation Service until 1962. In preparation for his celebrated career, Dr. Fanning pursued a formal education, obtaining a Bachelor of Science in 1954 and a Master of Science in 1959 from Cornell University. After receiving his undergraduate degree, he served in the U.S. Army until his honorable discharge in 1956. In addition, while obtaining his doctorate, he worked as a graduate research assistant in the department of soils at the University of Wisconsin, Madison, until 1964. A fellow of the American Society of Agronomy, Dr. Fanning’s achievements include the definition, description, and naming of processes for sulfide mineral accumulation in soil sulfidization and sulfide mineral oxidation to form sulfuric acid. He has also participated in the study of reactions of sulfuric acid with soils to form new minerals sulfuricization. 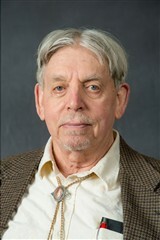 In addition, he has been a prolific author, penning “Soil: Morphology, Genesis, and Classification” in 1989, as well as several articles to peer-reviewed journals. In recognition of his exceptional achievements, Dr. Fanning has been selected for inclusion in Who’s Who in America, Who’s Who in Science and Engineering, Who’s Who in the East, and Who’s Who in the World. He was also the recipient of the Pons Medial of the International Union of Social Science at the Eighth International Acid Sulfate Soils Conference. In his spare time, he enjoys singing as a bass singer with the Holy Redeemer Church Choir.